Fine Gael MEP Brian Hayes explains the detail of the new pan-eurozone Single Supervisory Mechanism. The European Central Bank headquarters in Frankfurt, Germany. RECENT TURMOIL IN the financial markets is a stark reminder that the eurozone economy is still very fragile. The Irish economy, by contrast, is gaining momentum. Yet we are still exposed to the negative consequences of a massive banking crisis that devastated the eurozone for several years. But now, for the first time in history, we will have a European banking supervisor with a European mandate. No longer will we have a fragmented eurozone where 18 different regulators enforce 18 different sets of rules. The new Single Supervisory Mechanism (SSM) means that there will be a single set of banking rules overseen by one single entity, the European Central Bank. Let’s remember that the financial crisis was truly European in nature and to eradicate potential future contagion, we need to develop a unified European approach. A prevailing idea throughout the crisis was that our financial systems were too interconnected to allow big banks to fail. Such banks, anticipating bailouts, therefore acted recklessly. Light touch regulation allowed them to do so. The new supervisory rules are designed to limit such interconnectedness between banks, thereby putting a stop to the idea of ‘too-big-to-fail’ banks. And this is not only for euro-area countries; non-eurozone Member States can opt to participate in the Supervisory Mechanism if they wish. I believe that once it’s up and running, we will start to see new Members joining. They will see the benefits of integrating their markets with European partners. This Supervisory rules stems back to 2012 when European leaders agreed to take action to break the vicious cycle between the banks and sovereigns. This led to the ECB being chosen as the direct single supervisor of all the eurozone’s main banks. The ECB will now supervise all eurozone banks that are classified as “significant”, i.e. those banks that have assets in excess of €30 billion or are significant to the economy of the country. This accounts for 128 banks across 18 Member States. In Ireland this includes: AIB, Bank of Ireland, Permanent TSB, Ulster Bank and Bank of America Merrill Lynch (although Bank of America’s parent company is in the US). Other smaller banks will remain under the direct supervision of the Central Bank of Ireland. 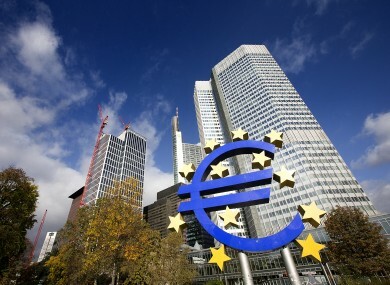 In total, 6,000 banks across the eurozone will remain under the direct supervision of national regulators. This essentially means that the supervision of the vast majority of Irish retail banking operations will change hands from the Central Bank of Ireland to the ECB. In preparation for this changeover, the Central Bank of Ireland is creating a Department to carry out checks on Irish banks across all risk areas. This also coincides with the on-going stress tests. As supervisor, the ECB will be able to carry out ‘on-site inspections’ of banks when necessary. These inspections will supervise the level of risk and the risk culture in a bank, as well as the appropriateness and quality of capital they hold. They will also assess a bank’s corporate governance and risk management procedures. Other important issues for inspection will be compliance with banking regulations and the quality of balance sheet items. Importantly, the ECB has built in a crisis management division to the supervisory powers. This will allow the ECB to react in a timely manner when a bank does not meet capital requirements and it can then instigate a recovery plan. The ECB will be able to take action when necessary. It will have powers to directly penalise banks when regulatory requirements have been breached but it cannot penalise individual bankers; the Central Bank of Ireland will hold onto these powers. The ECB is empowered to impose on banks administrative penalties of up to twice the amount of the profits gained or losses avoided, or up to 10% of the total annual turnover in the preceding business year. The whole procedure is a massive logistical arrangement for the Frankfurt based regulator and it is understood to have taken on about 1000 new staff, some of which have come from the Central Bank of Ireland. Yet staff working on the Supervisory Mechanism will not be entitled to regulate banks in their home country. Apart of this effort, the ECB will have a tough job establishing a healthy relationship with new banks. It will also have to answer to the Dail and the European parliament when carrying out its duties. Parliamentarians need to be well aware of the processes and procedures that are taking place. Considering the past failures of financial regulation, let’s make sure we act as a strong watchdog over the ECB’s new powers. People may argue that this represents a surrender of economic sovereignty, but in fact it puts Ireland on a level playing field with fellow eurozone countries. Given the globalised nature of banking services, it is important that we have the same standards and practices as our European partners. With this new Supervisory Mechanism we are building a solid structure for bank reform right across the eurozone. Let’s make sure it is implemented correctly in Ireland. Brian Hayes is a Fine Gael MEP for Dublin and former Minister of State. Email “Ireland's biggest banks are getting a new regulator today and here's how it's going to work”. Feedback on “Ireland's biggest banks are getting a new regulator today and here's how it's going to work”.